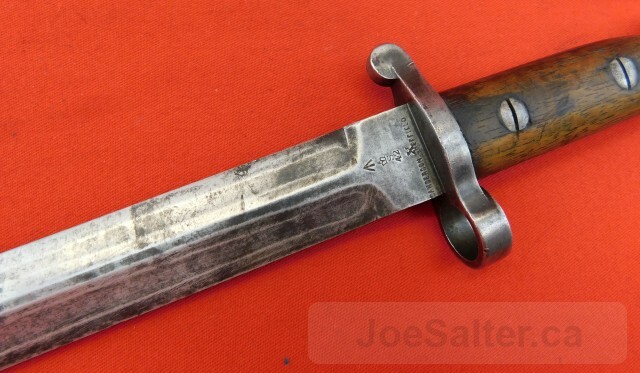 British 1903 pattern bayonet marked with crown ER 1903 dated 2/05 Sanderson Sheffield. Very good blade with staining. 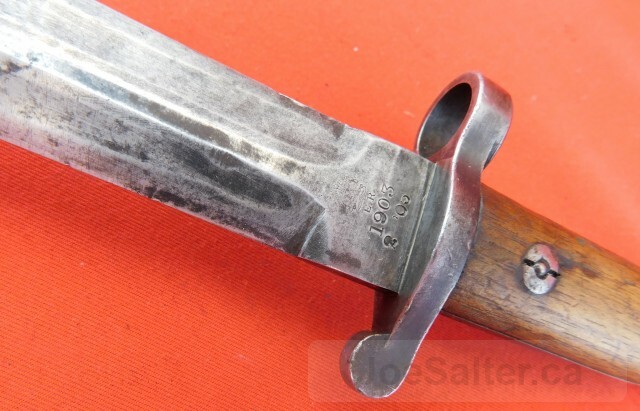 Wood is sound showing usage marks . No scabbard.